Tarot For Travel. Off We Go! Or Do We? I have found that the Tarot‘s predictive abilities will help with travel plans, and I’ve made use of this when booking holidays etc. This was how I first discovered the potential. Planning to drive from Lancashire to Tewkesbury one Saturday, a round trip of 330 miles that had to be done in a day, in a two car convoy delivering a car to my elder daughter, we were dreading the M6. 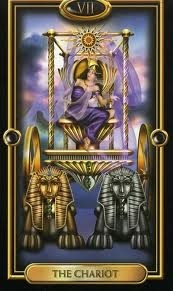 I thought I’d ask the Tarot to suggest the optimal time for setting off, that would enable us to avoid traffic trouble. To do this I drew cards to represent a range of logical departure times, drawing one card per time slot. In the card slot representing a 1.00 pm departure I drew a very positive ‘travel’ card…the Page of Wands. He’s warmly dressed for the desert, isn’t he? His tunic is decorated with little salamanders, an amphibian magically symbolic of the element of fire. Wands is the fire suit in Tarot, and symbolises the South. Pages in the Tarot represent starts/beginnings, amongst other things, and Wands is the suit of flickering flames, movement and travel. The card therefore represented a relevant fit to the question. We set off at 1.00 pm and the Page didn’t let us down. Heading south we passed an horrendous jam on the northbound carriageway just north of Stafford. It was the length of two junctions. There had been an accident. We carried on, crossing our fingers for the injured people, and the poor souls stuck in the jam, getting desperate by now surely, and wanting drinks or the loo. We dreaded returning that way within the next few hours. Having to avoid the jam by changing route was not a good option. The Page of Wands was being put on his mettle. But he proved reliable. Heading north again, nothing remained of the jam but some debris swept into the central reservation. Arriving home free of further worry, what could I say but ‘Thank you.’ Here was the Tarot showing, yet again, that it’s a fully adaptable tool for the modern world. What’s this all about? Forecasting or magic, or tuning into instinct and trying to programme the will? Are all three one and the same? Very likely. Will it always work? The most confident and expert reader in the world (and this is not me) is only human and frail, so, I would say not. Interesting potential here though, do you think? 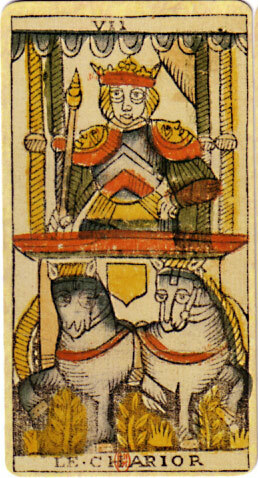 Other positive travel cards in the Tarot: The Ace of Wands, the 8 of Wands, the 6 of Swords, The Chariot, The Wheel of Fortune, The Sun, and The World. Equally of course, the Tarot may warn against travel or foresee problems. Travel is risky. We live in a bubble of illusion, forgetting this. Marco Polo would be astonished at our blase statements that we will be arriving here or there at a certain time on a certain day….To travel is to gamble…here the Tarot’s Wheel of Fortune card is symbolising the blind forces of luck, fate, chance…If you draw it right way up, it’s good news for travel. Drawn upside down? Uh Oh. Questions need to be asked. Identify the problem that the Tarot is sensing, you may be able to get that card to appear again, right way up, and then you’ll know it’s sorted. If you draw The Moon card you’d be wise to double- check the arrangements, tickets, passport, car hire, E111 cards and any other travel documents.The Moon can also warn of illness, poisoning or infection so it’s appearance is a reminder to take protective steps against malaria, travellers tummy etc. The Moon is paranoid at times, but here it is trying to help you, and actually it’s common sense. It’s just that The Moon is detecting an increased risk of problems at present. Be vigilant. My experience, having used these alongside Tarot, is such that I would not neglect their study for this work, either. For ‘luck’ a prospective traveller might for instance, copy out their symbols, investing positive, respectful and appreciative expectation into the act of drawing. The symbol might then be carried on the person, in a pocket or wallet, or in the vehicle but it needs to kept upright, not carried or stored in such a way it might turn upside down and reverse the ‘luck’. I don’t know who said it..but really, I think it says it all. 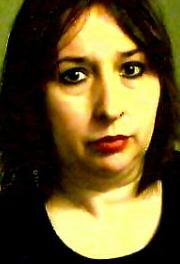 Author Katie-EllenPosted on June 24, 2010 June 20, 2011 Categories card meanings, divination, future, learning tarot, psychic development, readings, runes, tarot, tarot reading, tarot spreads, tarot tipsTags Chariot, Ehwaz, lucky, Marco Polo, Moon, Page of Wands, Rider-Waite tarot deck, runes, tarot, tarot reading, tarot tips, Tewkesbury, travelLeave a comment on Tarot For Travel. Off We Go! Or Do We?